ASUS Zenfone 2 laser ZE500KG (Z00RD) - is one of the latest smartphone from ASUS product that has a screen of 5 inches. Armed with a capacity of 2 GB of RAM, it will be faster if some default application from ASUS that is not too useful it can be uninstalled in order to use RAM a little more relieved. 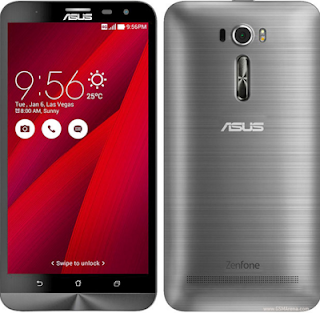 By doing root ASUS Zenfone 2 laser ZE500KG-Z00RD, the user can add, reduce or even remove the default application that already exists on the android system. In general, there are two methods that can be done to root the ASUS smartphone, using a PC or a computer and without a PC or by using root application. Enable USB debugging on Asus Zenfone 2 Laser by going to menu Settings => About => press the Build Number 7 times until the notification "Now Your'e Developer". Then go back to the menu Settings => Developer Option => USB Debugging (check to activate it). Go to the Fastboot Mode by turning off your Zenfone 2 first, then press and hold the power button and volume up simultaneously. Extract mod_boot.img.zip. Then press the Shift key on the keyboard + right-click on the mod_boot.img folder, then choose "Open command window here". The rooting process will take several minutes, and the device (Zenfone 2 Laser) will automatically reboot. Use the Root checker application to check it. If the root is successful, will appear a picture with messages "Congratulations! Root access is properly installed...."
Belum ada tanggapan untuk "Root ASUS Zenfone 2 Laser Z500KG With ADB Installer"